Grand Rapids Area Library, Grand Rapids, on Monday, November 5, 9:30 a.m.–3:30 p.m.
Hennepin County Brookdale Library, Brooklyn Center, on Monday, December 3, 9:30 a.m.–3:30 p.m.
Space is limited. Register today for the workshop nearest you. Learn more about the Role of Libraries in Advancing Racial Equity workshop or contact Joe Manion (651-582-8640) if you have questions. The updated, self-paced Supercharged Storytimes course from OCLC has launched. If you're not already taking part in the Supercharged Storytimes for All course being taught by our fantastic Minnesota trainers, please consider taking this version instead. Participants will learn how to intentionally apply research-based practices to boost early literacy skills in young children attending library storytime. This companion course consists of six modules, which include videos, readings, activities, and reflection questions—adding up to about 10 hours of content. Contact Jen Verbrugge (651-582-8356) if you have questions or need more information. Ignite Afterschool is Minnesota's Afterschool Network. The network brings together afterschool allies from across the state, with the goal of using the network’s combined resources, passion, and expertise to improve the funding, availability, and quality of afterschool programming for young people throughout Minnesota. Please consider attending Afterschool for All MN Advocacy Kick-Off on Thursday, November 29, 3:30–6:30 p.m., at PAIKKA, 550 Vandalia Street #165 in Saint Paul. Adult afterschool stakeholders (teachers, youth workers, program leaders, parents) and youth will gather to raise awareness about the critical role afterschool plays in the lives of youth. Participate in hands-on activities that build advocacy skills, share your afterschool story, learn the facts, and become an afterschool champion. Together, we can ensure that every young person has access to the power of afterschool. Light food and refreshments will be served, so please register in advance. For more information, contact Matt at Ignite. Minnesota’s libraries are well-positioned to support a complete and accurate count in the 2020 Census. Because libraries of all types are trusted community partners and embedded in their communities, you can partner with the Census Bureau and other community groups to deliver information about the Census. Working with partners, we can raise awareness of the Census’ importance, demonstrate how its results will affect people’s lives, and work to address their privacy concerns. The 2020 Census will be the first to take place primarily online, and libraries can provide free internet access and technical assistance to support patrons in successfully completing and submitting the form. 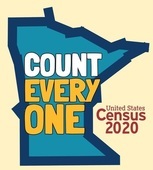 To learn more about how libraries can become partners for a complete count during the 2020 Census, connect to the American Library Association’s 2020 Census webpage or the Minnesota State Demographic Center’s Census 2020: Countdown to the Count webpage.